Many people think that a tour of Israel is a tour of Israel. The type of tour doesn’t make a difference, right? Wrong. If you are Christian, than visiting specific sites that delve into the history of Jesus and Christianity within the Bible are the most important. Taking part in a tour specifically designed with you, the Christian, in mind, will help you get the most out of your journey to the Holy Land. Here we take a view into Christian Holy Land Tours, and the specific details that voyage takes. There are so many sites mentioned in the Bible, and seeing all of them is an important facet of a pilgrimage to the Holy Land. However, if you are limited on time, there are certain places that are more prominent and important to Christian belief than others. 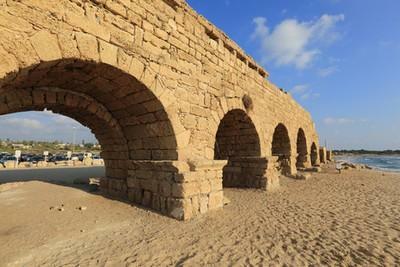 One of the most popular destinations for Christian Holy Land tours to begin their Christian journey is the Jordan River and the Yardenit Baptismal site. Tourists can take part in inspirational baptismal ceremonies here, either baptizing for the first time, or having a re-commitment ceremony. 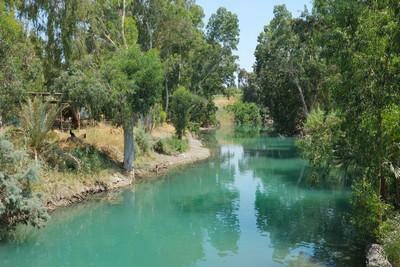 In addition, the Jordan River is also mentioned several times in the New Testament in reference to John the Baptist. Nazareth is a town that holds special meaning to many Christians,as it is home to the Church of Annunciation, the special place where the angel Gabriel announced the powerful news from God that Virgin Mary was expecting his son. Jerusalem holds deep meaning to Christians being the place where Jesus was arrested, tried and crucified. Some of the more impotant sites to visit are the Pools of Bethesda where Jesus cured the Paralytic man, the Garden of Gethsemane where he prayed with his disciples on the eve of his crucifixtion and the Via Dolorosa where one can walk along the last path of Jesus following the stations of the Cross which lead to Golgotha the site of the crucifxion and the burial place of Jesus. 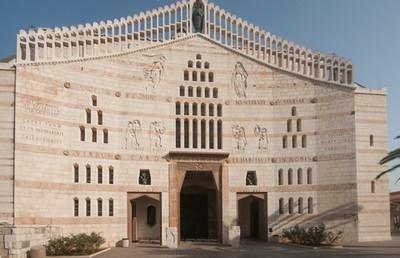 In addition, Bethlehem, the birthplace of Jesus, is a must-see on Christian Holy Land tours. 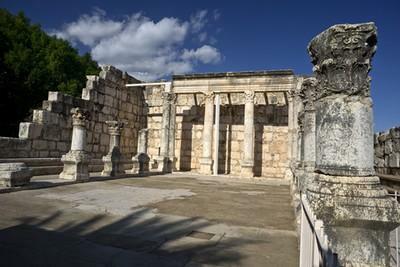 Other destinations in the Holy Land that are intrinsic to the Christian faith are Capernaum, where Jesus began his teaching and where he delivered some of his first miracles, by healing a possessed man and raising a woman from the dead. The Sea of Galilee, where Jesus walked along the shores and was also the setting for the loaves and fishes, as well as Caesarea, and Mount Carmel, where Elijah issued his challenge to the false prophets. Hopefully this view into Christian Holy Land Tours has been a bit of an eye opener in regards to viewing the Holy Land in a way more oriented to serve the Christian belief and fulfill the intention behind this special pilgrimage.